Perth duo Hamjam is a collaborative project between Hamish Rahn and James Ireland, two creative individuals who make music they describe as “blissed out sadness”. Distinguishing themselves as a band, and only sometimes as a bizarre type of food yet to be invented, Hamjam has been described as a melting pot of psych and electronica, with a healthy pinch of West Coast soul. Their debut full length, a/s/l?, is an earnest and unassuming collection of tracks that muses on feelings of inadequacy, unrequited love and insecurities. Steered by synths that exhilarate on certain tracks and dazzle on others, the band’s hazy instrumentation conjures thoughts of warm summer nights and the thrill of being young, naive and little lovelorn. Pushing sonic boundaries and enveloping listeners in their universe, Hamjam are here to soundtrack your existential crisis. When they’re not creating brain-melting compositions, Hamish (Ham) and James (Jam) tour the world with fellow Perth troubadours Methyl Ethel and Pond respectively. 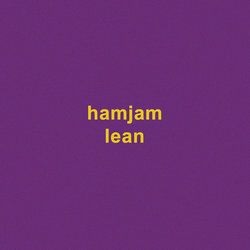 Hamjam has been described as a melting pot of psych and electronica, with a healthy pinch of West Coast soul. The music video for 'Lean' is a pastel reflection on domestic decadence, and an unfounded pining after early morning TV aerobics. Taken From The Release Titled a/s/l?